Not quite 3 years old, 4 Bed. 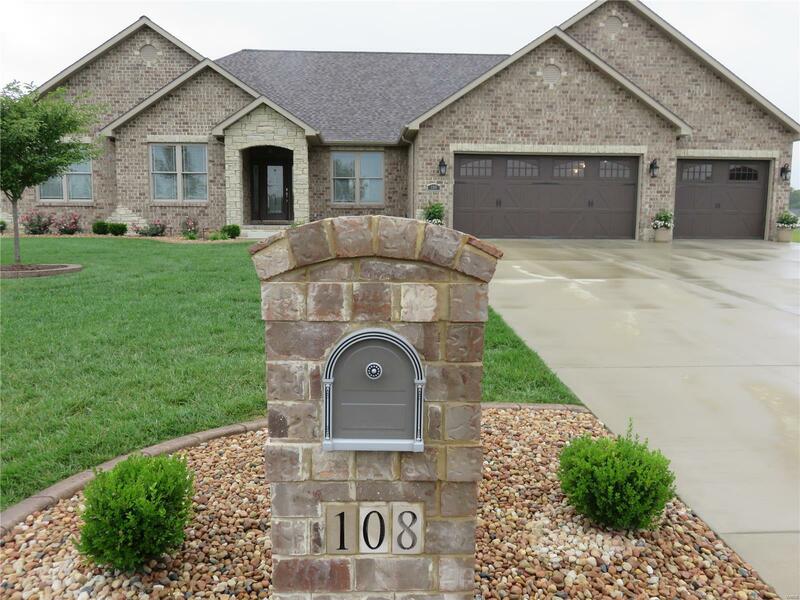 Custom built Ranch has just about everything you would ever need! From the time you open the Front Door You are greeted with Beautiful Flooring & Wide Open Floor Plan,You walk past the Large Formal Dining, and French Door Opening into the Den/Bedroom, and are drawn into the tall ceilings Leading in the Great Room with its Beautiful Fireplace, and Open Staircase Leading to the immense Basement Area. The Home's Kitchen its Beautiful with Lots of Cabinets The color choice of Counter top is Spectacular and the Snack Bar and Breakfast Area,are so ever inviting. There is a Split Master Bedroom Plan with the Master having Glass French Doors, Huge Master Closet Area, and a Master Bah to die for w/Walk In Shower and elaborate Tile Work. The Laundry Area, has lots of Cabinet areas and is situated off the 4-5 Car Garage area...This Garage is a Feature of its own. There is geothermal which means low utilities, Covered Back Porch with TV area, Fence & much more!! !